Fox has found itself the target of a hacking campaign once again after attackers managed to compromise the Fox News Politics Twitter account and used it to spread misinformation that the US President had been shot and killed. Whilst the group doesn’t affiliate itself with the loose online collective Anonymous, or the now disbanded LulzSec, Scriptkiddies reached out to the former to extend its support, offering help with the now infamous “AntiSec” campaign. It also followed closely in the steps of LulzSec by directing visitors to the group’s official Twitter account which, unlike its more established and revered predecessors, was suspended within hours of the account being popularised. As America wakes up to celebrate Independence Day, many could be duped into believing the President had been gunned down, especially as they would believe news was being reported by a reputable outlet with an established following. Also, as we published this report, the group deleted tweets detailing the hack so that the news would appear more authentic. If you had tweeted some fake news (i.e. 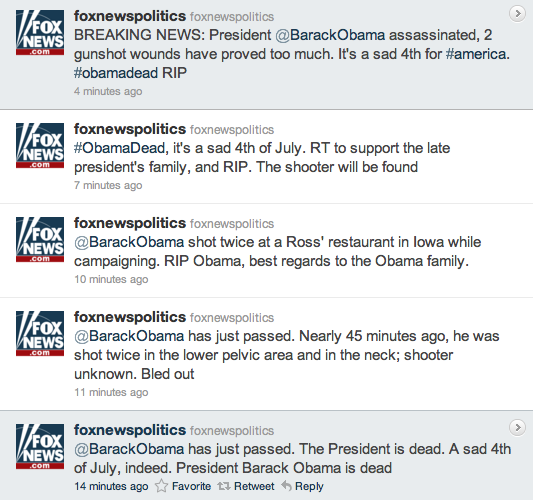 Fox News sources say Obama died of a heart attack this evening), it would have had a bigger impact. Just saying. Others would have taken it over and sourced it to Fox News. 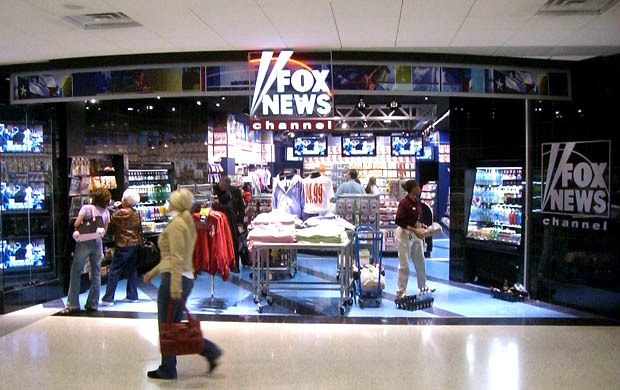 It is not known whether Fox News is aware of the compromise, we have reached out to them for comment. The names change from time to time like LulzSec and Anonymous or Script Kiddies. But [there] will always be a group of people that need to stand up for everyone else and attempt to keep the government in balance with it’s people. Without groups like Anonymous, what is there to prevent corruption?